Falling in love isn't a choice. . . Since the moment they met, Ryan and Taylor have shared an unspoken bond. Taylor's drawn to Ryan more strongly than she thought possible and for some reason only he seems able to lift her out of the darkness in her past. But Ryan is with Marcy - her best friend. Marcy stood by Taylor when everything else had fallen apart, and Taylor refuses to risk their friendship now. Somehow she needs to resist what she's feeling. Yet, when Marcy leaves for a few weeks just as Ryan moves in to their shared flat, the tension grows to unbearable proportions. As the line between right and wrong becomes blurred, Taylor will have to decide whether she can - or should - turn away from what might be the love of her life. Evocative, moving and heartrendingly romantic, this is a story about real life, true love and the power of friendship. 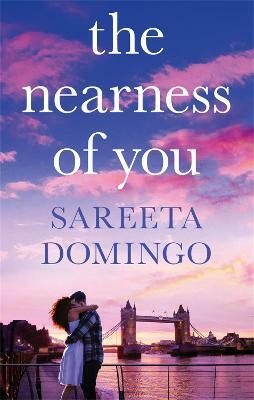 Sareeta Domingo was born in Camberwell, South East London, but spent her formative years in Bahrain, when her family moved there for her father's job. She currently works as a senior editor at a creative book packager by day, and squeezes writing into her mornings, evenings and weekends. She participated in a creative writing course while studying abroad at the University of California, San Diego, as part of her degree course in Comparative American Studies at Warwick University. She has also completed a course in Novel Writing and Longer Works at City University. She writes reviews of contemporary romance titles on her blog, The Palate Cleanser.